Isn't it amazing how looking upon a cherished family recipe, especially from someone who has passed away can bring back so many fond memories? 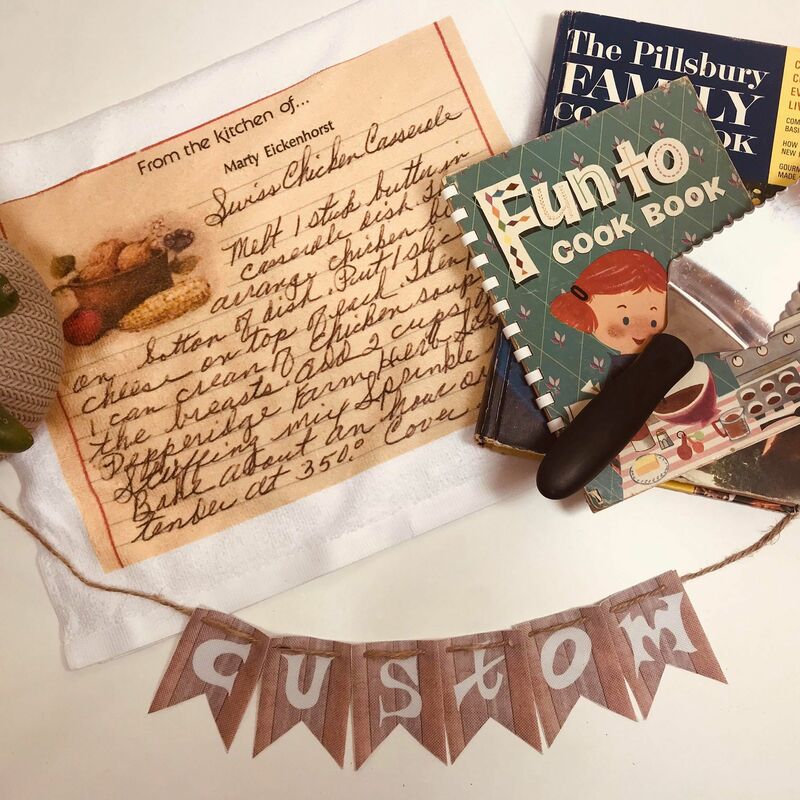 Keep the memories alive and your favorite recipes preserved with these gorgeous microfiber towels. 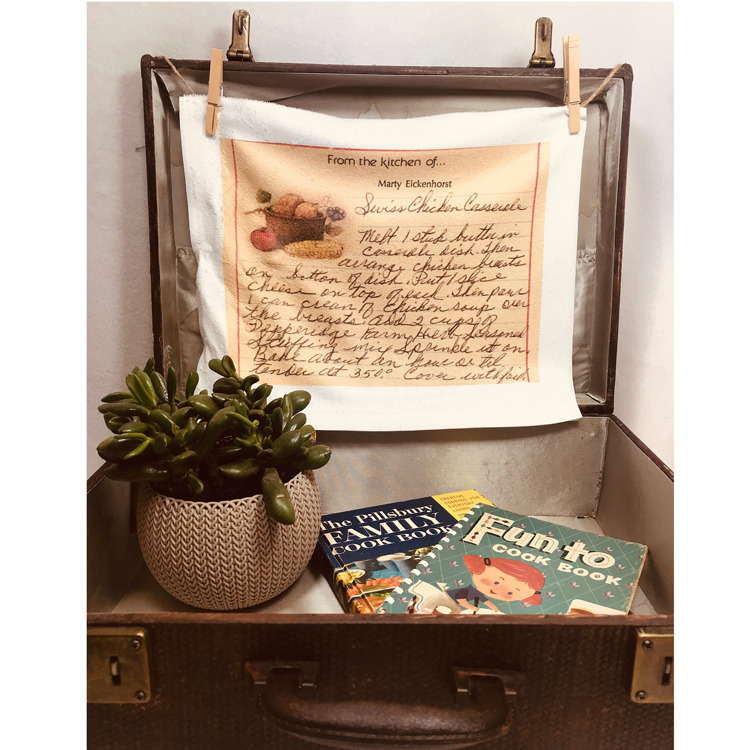 This makes the perfect gift for someone who has lost a loved one who used to create amazing dishes in the kitchen or for you to share your own special recipe with friends and family. Whoever the recipients are, they are going to cherish this special gift. These towels are printed using sublimation printing technology right in my home! The beautiful thing about sublimation printing, besides the stunning, vivid colors, is the fact that the design literally becomes part of the fabric once it's pressed on the commercial heat press! No cracking, peeling, or fading like with other printing mediums. Launder with like colors. Do not use bleach or fabric softener as this will damage the microfiber. Tumble dry.